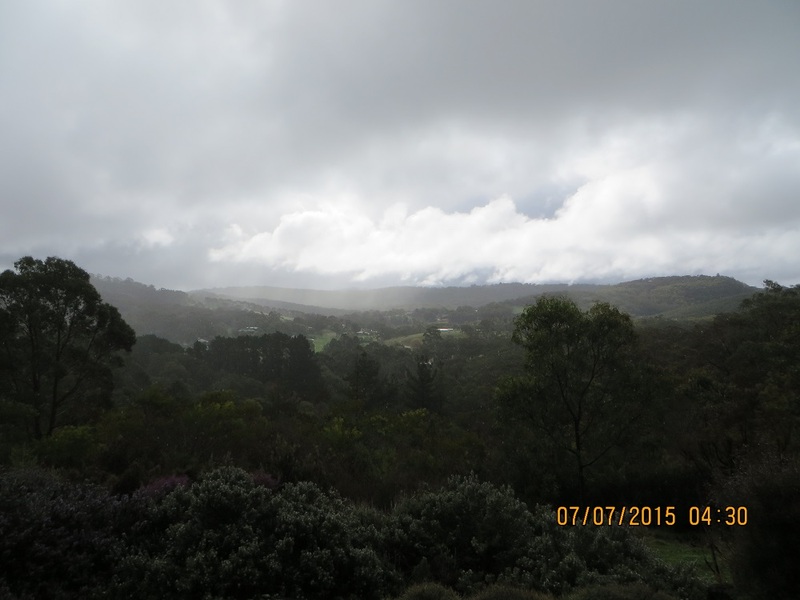 Over the last two years VK5PAS, Paul, the originator of the SANCPA award program, has established a tradition of Friday late afternoon or early evening activations of South Australian National and Conservation Parks for the award. This award encourages portable amateur radio operations from South Australian Parks. It has become quite popular and a number of portable operators in the state make the effort to set up in a Park and lots of South Australian chasers and even more from interstate reward the activators with contacts. From the point of view of the portable operators, the activity develops planning skills, navigation techniques, introduces them to SA’s great parks as well as developing amateur radio skills associated with setting up a satisfactory low-power station and using battery power. Of course the activity develops operating skills, on-going learning of communication techniques, which not only benefit the individual, but perhaps may be useful to community organisations or help with developing a career. I was pleased to be able to briefly discuss the symbolism of operating from this Park, with one of my contacts. The Park is named after a very prominent Australian scientist, who was also a conservationist and a past Governor of South Australia. Of course Sir Mark was interested in radiation, from nuclear energy, slightly different to the electro-magnetic radiation we play with! He also invented the Magnetron. In my post of 11th December 2015 I included a photo of the plaque with the citation to Sir Mark. The operator told me he had read my earlier post and had noted the detail about Sir Mark. This map, taken from a Park Guide shows the location of the Park in relation to Belair National Park, Cleland Conservation Park and Scott Creek Conservation Park. The brochure indicates that the ‘main function is to conserve an important example of the Adelaide Hills Forest Environment’. Messmate and Brown Stingybark trees dominate the forest canopy. On this occasion I chose as my operating location an area just inside the Park near the point marked 6 on the map. Travel down Evans Drive (from the Heathfield end), a gravel track, until you reach the park boundary on your right hand side and you will come to a gate. When turning from Scott Creek Road into Evans Drive the Park begins on the corner and is thus on your left hand side at the turn. Near point 6 is a better location for the amateur radio operator than just inside the main gate (where the dedication plaque can be found). Maps courtesy of the SA Government. Thanks to the operators in VK2, 3, 4, 5 and 7 who gave me a call. And a special thanks to those who spotted me: it makes a great difference to the activity! Today, 11th December 2015, was set aside for a late afternoon, early evening, activation day for those interested in portable operation from South Australian national and conservation parks. I chose to return to Mark Oliphant Conservation Park, the closest protected area to our home. I set myself a goal of 25 contacts, which, when added to my score from 28th June 2015 would give me at least 44 contacts so as to successfully activate the Park for the WWFF award. It was not to be. The 40 and 20 metre bands were in poor shape! The bands were noisy (QRN or natural noise: today from stormy weather on the east coast of the country). I made just nine contacts. I was using my Ten Tec Argonaut VI, set for ten watts. There was no propagation close in around Adelaide and the only VK5 station I contacted was Neville (Nev) VK5WG at Crystal Brook in the mid-north of the State. I spotted myself on Parks and Peaks and Nev told me he was waiting for me: Mark Oliphant was a new Park for him! Here is a link to my previous activation of this Park. I commenced calling at 05:03 on 7.105 after checking to see whether the frequency was occupied. I then moved to 14.310 and once again put up a spot on Parks and Peaks. 05:35 I called CQ and VK2IO, Gerard, was 5 and 7. I called him back but he could not hear me. I called quite a few time and was not successful in gaining a contact. I then moved back to 40 metres and after listening around the band decided I could not hear any of the VK5 park activators so I dismantled my station and drove home. After arriving home I checked Parks and Peaks and saw that Paul, VK5PAS, was activating Mount George Conservation Park, VKFF-0784, just a few kilometres from my place and I thought I would have a listen for him. I had a great contact with Paul: he was 5 and 7 and I was 5 and 9. On Sunday afternoon the sun was shining and I thought I would begin my VKFF activation of Mark Oliphant Conservation Park. While I have activated this Park twice previously that was for the South Australian National and Conservation Parks Award: SANPCPA. Here is a link to those activations. The Mark Oliphant Conservation Park is the closest protected area nearest to my home. It is about two kilometres away as the Little Raven flies! I can see the Park from our house. It was named after Sir Mark Oliphant, nuclear physicist and Governor of South Australia. On this occasion I set up off Evans Drive rather than just inside the main entrance. Evans Drive dissects the Park but there was little vehicular traffic and a few people of foot, some of whom showed some interest in what I was doing. Here is a list of my contacts. VK2GAZ/P2, Garry at Scheyville National Park VKFF-444. I was delighted to get this contact having activated this Park last year. Here is a link to that activation. At this stage the sun moved behind the hill, the temperature dropped suddenly and I decided I would pack up and head home. I was happy to gain 27 contacts and I shall return and work a few others to gain the 44 needed for the VKFF program. Thanks to all who gave me a call. I went back to Mark Oliphant Conservation Park today, 10th March 2014. It was my second activation. My first was on 21 May 2013 (see blog for August 14th 2013). VK5PAS, Paul, encouraged me to become active today, and we did manage a Park to Park contact. Paul was in the Onkaparinga River National Park. I chose a position not far from my first activation spot. I only managed eight contacts. I thought the band was in reasonable condition and I called CQ frequently. My first contact was with VK5PAS/P, Paul at Onkaparinga National Park; VK5EMI, John; VK5KGP, Graham; VK5WG, Nev; VK3BHR, Phil; VK5NWE, Roger; VK5MBD, Bill and VK5EMI, John for a second time. May be I was a bit tired. Yesterday I attended the first VK5 SOTA & Parks Symposium. This was organised by VK5PAS and the Adelaide Hills Amateur Radio Society Inc. It was a great day. It was my privilege to present two papers: the first was on using Lithium chemistry batteries and the second, on preparing to purchase an ‘Adventure Radio’. So today I operated using my 8.4 amp hour LIFePO4 battery. I used the battery last night for an hour or so running a five watt FM radio in DStar Hot Spot service and also for today’s activation and the voltage still reads 13.01 volts. I am really happy with this and with a smaller battery, 4.8 amp battery as a back-up and a similar size LiPO and should be able to save my back! I am looking forward to some cooler days and some hiking!